Leogate Estate Wines is a relatively new venture and we are excited about our future. The owners Bill and Vicki Widin purchased the "Brokenback Vineyard" on Broke Road Pokolbin in 2008 and we took up the lease of the Tempus Two winery site in Pokolbin in 2010. Whilst winemaking at Tempus Two, we purchased all of its plant and equipment and in August 2012 re-located this equipment to our own winery newly built on the Brokenback Vineyard. The 2013 harvest was the first vintage completed in the new winery. Leogate Estate Wines has also constructed on the Brokenback Vineyard a new Cellar Door, Function Room and Restaurant building which also opened for business in August 2012. The age or our vines and the vineyard history is very important to us with names such as Len Evans, Rothbury Estate and the Tyrrell's family all being involved in the Brokenback property at some stage. The established grape varieties we have growing on the vineyard are: Shiraz, Tempranillo, Chardonnay, Semillon and Verdelho. The new plantings on the vineyard are: Merlot, Viognier, Pinot Gris and Gewurztraminer. A large majority of our Shiraz vines are dry grown and have been that way for approximately 40 years. 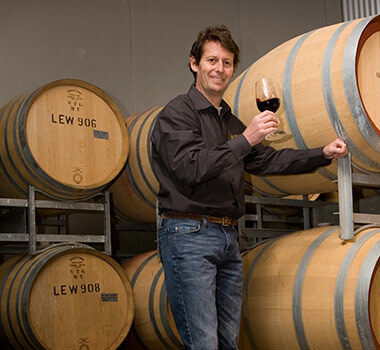 Leogate Estate Wines is focused on producing premium boutique Single Vineyard wines expressing the uniqueness of our terroir whilst respecting and embracing regional identification. We are very proud to announce for the third consecutive year a Five Star rating in the James Halliday Wine Companion 2014 Edition. Mark, what excites you about your role as the winemaker for Leogate Estate Wines? Having the opportunity to work with a low yielding, high quality, established vineyard with an excellent history of producing premium grapes for winemaking is quite exciting. The winemaking technique employed at Leogate is designed to capture and express the uniqueness of our Brokenback Vineyard terroir whilst respecting and embracing regional identification. What’s old and what’s new at Leogate Estate Wines? Firstly, the vineyard is very established with many of our grape vines over 40 years of age. 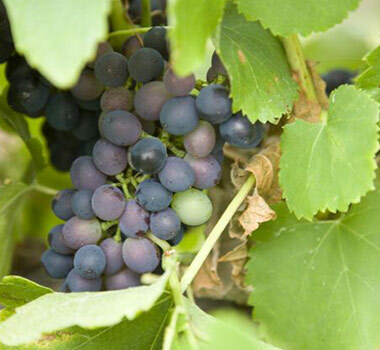 This is of benefit to us as the crops yields are relatively low producing wines with great concentration of flavour. Secondly, we have constructed on the vineyard a new winery, cellar door, function room and restaurant. This is very exciting as we now have a modern winemaking facility to best manage the age and intensity of our premium grapes. The Broke Road entrance is framed by large cast iron gates embellished with lions rampart, hence the wine name & label – 'Leogate Estate'. These large iron gates & the lions are the guardians & protectors of the famous Brokenback Vineyard.